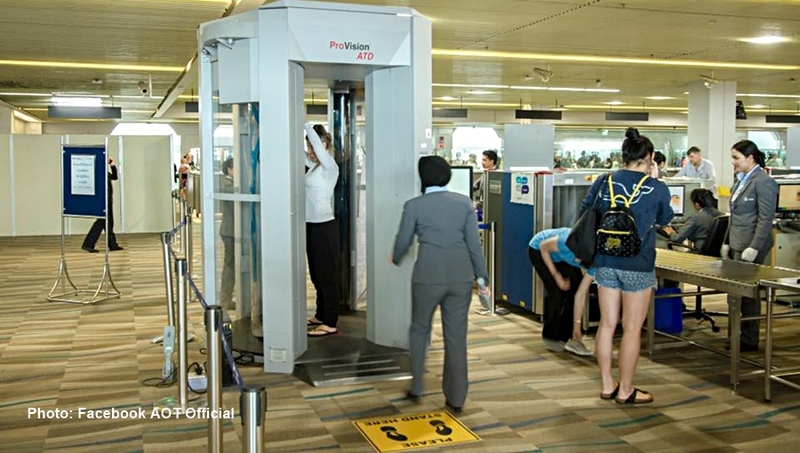 Airports of Thailand Company Limited (AOT) clarified on Thursday (Jan 11) that the full-body scanners that it rented from a private firm since 2011 for use at international airports was not overcharged. The AOT insisted that the rental fee was reasonable taken into consideration the technology used and the machines have been certified by the United States’ Transportation Security Administration. 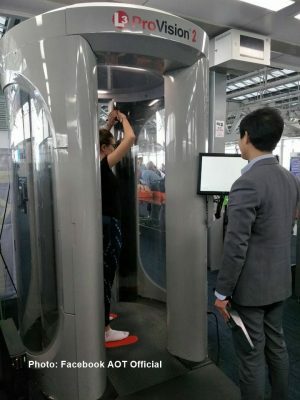 The company issued the above clarification in response to observations posted in the social media that the actual price of each full-body scanner was about 5.6 million baht and the total rental fees, amounting to 35.64 million baht paid by AOT to rent the devices from MIT Solutions Company, the sole distributor in Thailand, for five years were too high. The critics said the AOT could have bought the machines from the rental fees it had paid. The AOT argued that the 5.6 million baht price for a scanner mentioned by the critics was meant for the US government and certain agencies responsible for air travel safety and not the commercial selling price quoted for airports outside the US. AOT claimed that, before renting the machines, it had carefully checked the prices from the manufacturer and distributors in the US and found out that the price for the scanners started at about 19 million baht each, excluding insurance and maintenance coverage. As for the actual rental fees paid by the AOT, the company explained that the rental fees for the first three years were quoted at 650,000 baht per month for one unit for a five-year contract. And if the contract is renewed, the monthly rental fees will amount to 510,000 baht per unit for five years under the new contract. The contract covers insurance and maintenance inclusive of spare parts. AOT also promised to announce the result of the latest bidding result for public acknowledgment.